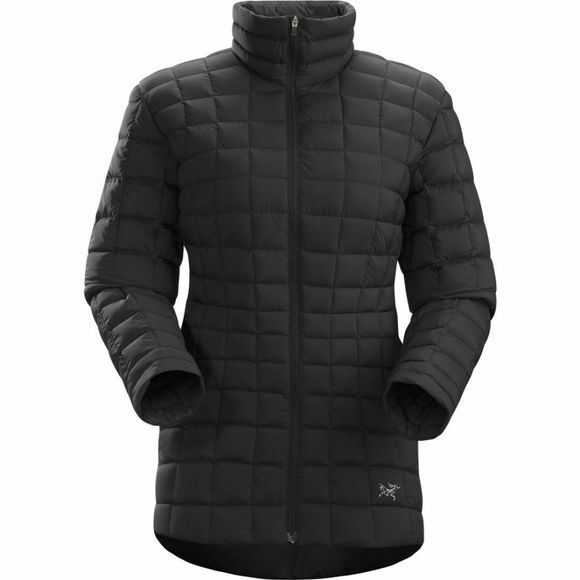 Constructed using a combination of Polartec Micro Velour Small Grid and 750 fill power European goose down, the Women's Narin Jacket from Arc'teryx is, simply put, warm and wonderful. The refined quilted line work gives a flattering silhouette while a lightweight yet durable matte face fabric features a DWR finish to repel moisture, which will offer a little reassurance in damp conditions. The light fleece side panels with stretch woven overlay, decrease bulk on the jacket for more comfortable layering and a cleaner fit for more casual adventures.